Savvy Mode: Oh My Heart! We are only about 2 weeks from the very special Valentine's Day so it's not surprising SG is thinking about hearts. I adore any jewelry with heart shape designs. They are just so "heart" warming and lovely. If I can have any heart shape jewelry, here and here by Piaget will be my choices. ---Red color from Baccarat (besides pink) is my favorite not just because red is a classic Baccarat color but also because to produce this particular red, gold metal element needs to be added to create this beautiful hue. If you have noticed, there is a red crystal on every Baccarat chandelier. As a chocolate addict, SG sure will swoon over chocolate hearts. 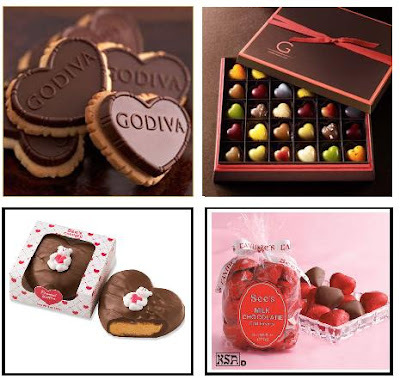 left top Godiva heart shape chocolate biscuit $8.50 --- Totally delicious, trust me. I have tried every one of Godiva biscuits. left bottom See's Peanut Butter Heart $4.35 --- these are great for basket filler or just as little something for friends and co-workers. SG really like Le Creuset pots, and how cute is this heart shape pot. This retails for $140 but these are worth every penny. Luckily for me, Savvy Mom buys me all the Le Creuset pots and pans I can ever use. 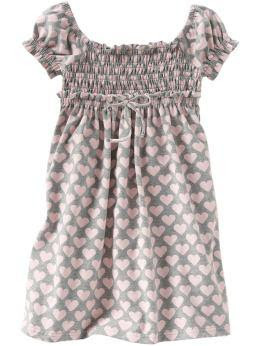 I think Savvy Niece will absolutely adore this little all over hearts dress by Gap ($24.50). Are you a heart person, or too girlie for you? 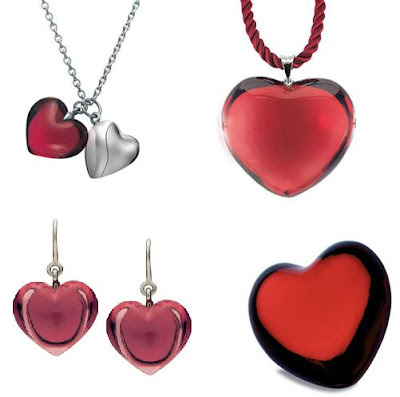 I'm not a huge fan of heart jewelry, but I do love heart chocolate! I was never a heart fan until the hub bought me the most lovely and dainty heart necklace as a special gift on our wedding day. I've never seen another like the one he got me and it has a perfect little diamond nestled in the point at the bottom. Ever since then, they've had a special place in my... heart. :) Oh, and you can't BEAT chocolates. Congrats on your awards SG, Your cats and dogs photo's made me smile too, but these hearts are making me have palpatations :-), just beautiful. wow--I love the B Mine heart necklace! & the special Godiva chocolates are beautiful! I <3 heart shaped jewelry too! (har har) Betsey Johnson had some funky heart pendants out years ago but I never got around to buying one. Yumm, I love Godiva chocolate. I'm a chocolate fiend! And those heart necklaces are too cute! I think as long as heart things aren't too overboard and tacky, that it's such an adorable trend, especially around Valentine's Day. You picked some excellent ones :) That Le Creuest is too adorable for words. That pot is too cute. Although I doubt I would use it enough to justify the cost! I love hearts! Do you know the brand lovcat? I have an adorable wallet from them...also, gotta love the Betsey Johnson pjs. Most of her clothes are a little bit much for me but her sleepwear is awesome! that first little number is adorable - i want it! I have the Baccarat Glamour Heart in pink, it's one of my favorite necklace. I love the Le Creuset pots. That box of Godiva heart chocolates look just so good. I love chocolates. I really like hearts when the design is simple like the ones from Baccarat. Le Creuset pots and pans are wonderful for keeping food warm or cold. It cooks very evenly and won't stick at all. That heart shaped pot is fantastic. I nearly bought some heart shaped earrings today...reading this makes me want to go back and buy them! These are beautiful finds... I especially love the cats smile too!!! 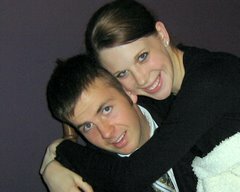 They make me smile. 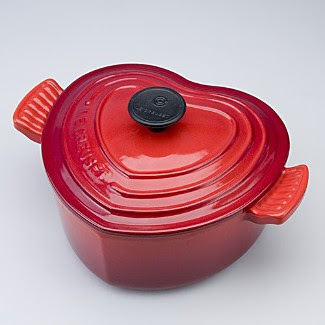 I really want a heart shaped Le Creuset and they last forever.. I know it's all part of rampant consumerism, but I love all the heart stuff for Valentine's day. It makes me so happy! I want that heart pot. I feel sure that it would add extra love to my cooking. I was thinking of making some heart necklaces from swarvoski crystals, I adore all things like that! I really like the top left necklace -- too cute! Heart necklaces always remind me of grade school (mid-eighties for me), when silver heart necklaces were very popular! even though hearts are a bit gimmicky, I still love heart shaped stuff. If done well then it can be really cute. great picks, especially that little dress for Savvy niece! gosh you're right, V. Day IS just around the corner. im dying over that Le Creuset pot!! I adore that little heart pot, darling! So cute! Have a wonderful weekend, SG!